Enterprise Construction Project Management Software for Owners. I love the fact that every one project added to PM can keep everyone on the same page. Once you become part of the project and acquire the necessary rights, you will always be in the loop. Projectmates provides us a central, collaborative platform to connect our different teams to ensure our projects go smoothly and remove the need for manual tracking of spreadsheets. Communication is a top priority for our company. Projectmates allows us to effectively track, communicate and manage all changes that occur within a construction project. Projectmates has given my construction team the tools we need to keep everything organized, detailed, and on time, at our fingertips. Projectmates' user interface is intuitive, which has helped the staff get past the initial intimidation often associated with new software. It used to be that I could only manage about six jobs at once and now I can manage about twenty of them at a time. Before Projectmates, we didn't have a central place for all contracts, and phone calls and emails confirmed that an invoice was approved. Projectmates eliminates manual entry errors and ensures checks and balances. Anyone on the team can get project information in real time, and the Projectmates mobile app allows users on the job site to quickly update information and stay up to date. Whether in the office or working remote, senior leadership can easily log into Projectmates and visually see and statistically know how projects are doing. Projectmates helps us with keeping records in a controlled and regimented format, as well as having the ability for outside team members to be able to access & upload current data. 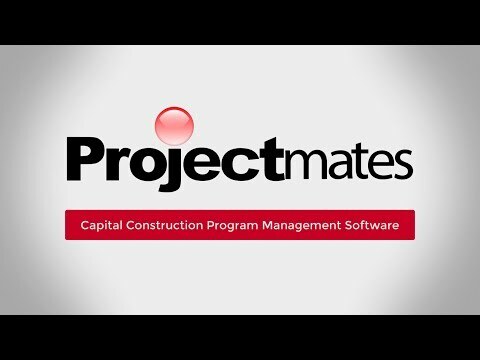 Since 1995, Projectmates by Systemates, Inc. has been helping owners with managing the complete lifecycle of construction from planning, bidding, and building to maintaining the facilities. Organizations such as Retailers, Real Estate developers, Healthcare institutions, and Educational & Government agencies rely on Projectmates to manage billions of dollars in capital construction programs. Projectmates' collaborative platform dramatically improves project execution, cuts costs and delays, and reduces risks. Automate your construction processes, facilitate collaboration, reduce costs, and much more. We are a software as a service, offering unique solutions to fit your needs including training and integration options. from site selection through closeout. Desktop, tablet, or smartphone. Whichever you prefer, Projectmates is available anytime and anywhere with internet access. Store, manage, and track your drawings, documents, photos, and other related files that pertain to the construction project. Automate your construction field communications with RFIs, submittals, daily field reports, punch lists, discussions, and more. Manage accounting by keeping all budgets, bid packages, contracts, change orders, purchase orders, and invoices synchronized. Strategize a Capial Improvement Plan (CIP) for new construction, renovations, remodels, and capital maintenance projects. The Scheduling tool allows you to effortlessly designate tasks, deadlines, and reminders to ensure project milestones are always met. Provide your contractors an easy-to-use platform for submitting bids and securely accessing the latest drawings and plans. Highly customizable and in-depth reports provide you the critical insight needed to make smart decisions and see the bigger picture. Create customizable dashboards that summarize large amounts of project data into an assortment of charts, graphs and more. Automatically backup the entirety of your project website content & get an email when the backup is ready for download. you achieve your construction goals. Come meet the Projectmates team at ICSC RECon 2019 in Las Vegas at Booth # N1627! Healthcare facilities are facing new challenges and opportunities for growth. Technology will be a driving force for both new construction of facilities and renovation of existing spaces. 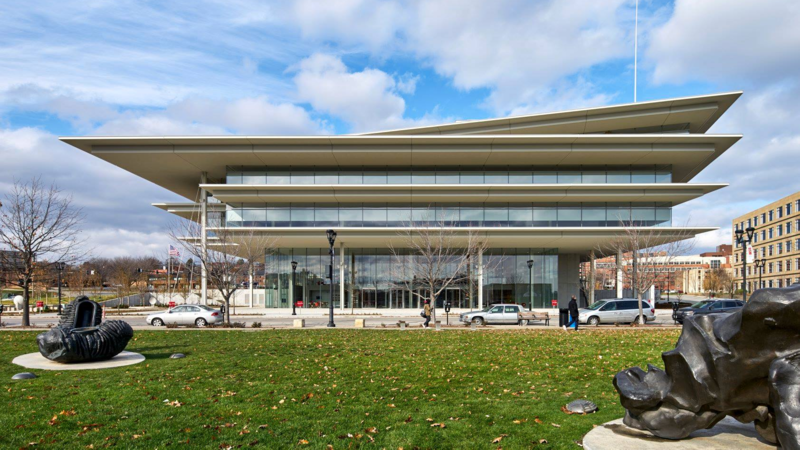 Kum & Go announced the completion of their new headquarters designed by the world-famous Renzo Piano.The Projectmates team wants to congratulate Kum & Go on the awesome new headquarters!